This collage was photographed outdoors, like the one in yesterday’s post. However, the background was uneven and not satisfactory, so I had to PhotoShop it. But I thought natural light would be the best way to see edges and textures. Yesterday right at supper time a horrendous thunderstorm blew through here. I don’t think there were any tornadoes — at least none were reported. But my huge, lush squash vines were toppled over, neighborhood leaves and branches were strewn all over our yards, and a big tree blew down in my next-door neighbor’s yard. Our power was out for over an hour, so we had dinner by lantern light. Fortunately everything on the stove was done. This morning I checked the squash plants and they had righted themselves. I was truly amazed. that’s very nice Martha! and I really like the Renewed one too. I love the textures and these have ripped edges too! Glad that you were all okay after the storm. They can be real scary. When I first moved to Darwin, Australia we had a cyclone and it was very scary indeed. More so the next day to see the flattened damage. Thanks Annette – so glad you like these! Yes there are lots of storms here, quite a few tornadoes. When I was growing up here we had a lot of close calls. Sorry to hear about your storm experience, Martha. They show up around dinner time in June, don’t they? Hope your squash won’t be affected. Are you going to make some fried green tomatoes with your bounty? DJ, these storms do show up a lot in the evening — or worse, in the middle of the night! Those are times when the one dog gets petrified and gets me out of bed for a while! I think the squash are fine, and yes, we’ll have some fried green tomatoes. I’ll probably wait until frost, when we know they aren’t going to ripen. Thank you, Marie-Aimee. I love your collages as well! Your collage with weathered papers looks superb, I am very impressed. Ian, I’m so happy you’re impressed. Thank you for stopping by and taking a look, and for your kind comment. I am so glad you and your squash are OKay. I can truly emphasize with you as I live in an area where tornados blow. We had the most spectacular thunderstorm Tuesday night. We can call them spectacular when they do no harm. 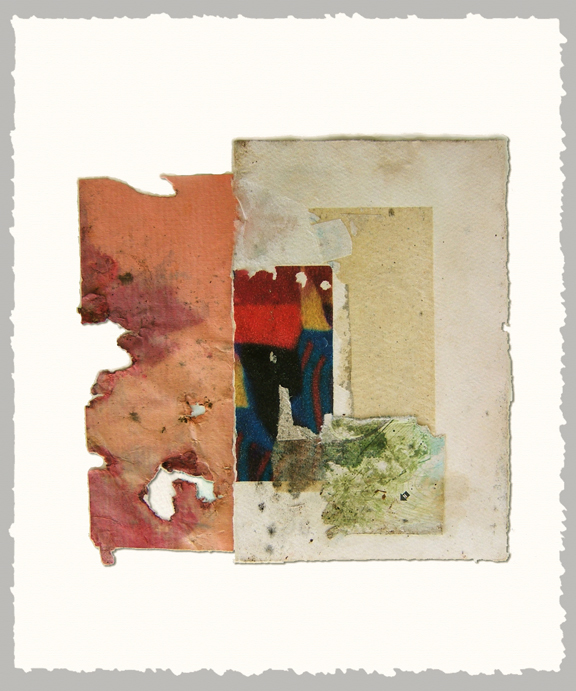 The colors of your weathered papers is also spectacular on this collage. Thanks, Caroline. Our thunderstorm had lots of cloud-to-ground lightning as well last night. Glad you like this collage. This is a stunning piece Martha. Really impressed with it.